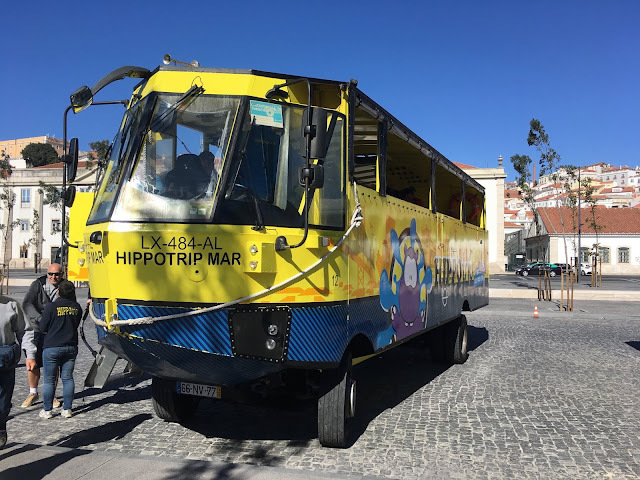 If you're short on time and want to see everything Lisbon has to offer, hop on a tram - there are sightseeing busses too but it's not every day that you find a sightseeing tram. The number 28 goes through all of the toursity places, so you can get a pretty good overview of the city from the window of a beautiful 1930s relic. A single ticket costs just under €3, but a 24 hour ticket costs €6.30 and gives you access to all of the trams, local busses and to another attraction further down this list. If you choose to take the tram be very careful with your bags - every single person you talk to will mention the pick pockets. Keep everything hidden, keep your bag in front of you and hold on to it and don't leave your camera on your shoulder because they will cut the straps and take it. 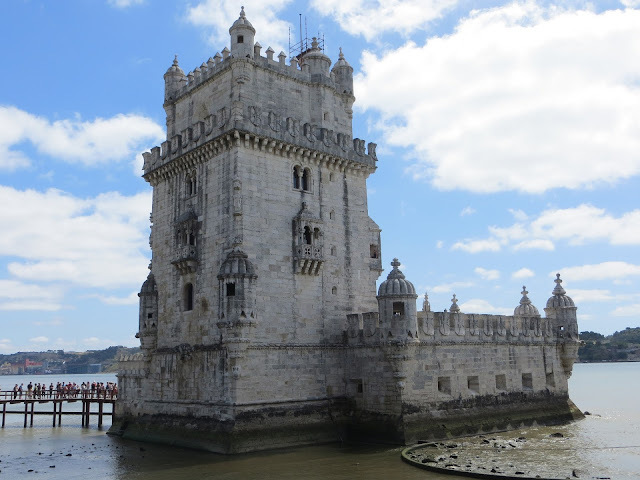 One of the first things you spot as you sail into Lisbon is Belem Tower. Originally constructed in 1514 to as part of a river defense system, it's now a local tourist attraction with a beautiful view of the Tagus. These days there isn't a lot there but it's an absolutely beautiful building with huge arches inside that you would never know existed. If you want to get a little out of the city centre, Belem is a great place to go. Taking a tram or a tour bus is a great way to see everything in a short space of time, but if you want to see the real city a Tuk Tuk is the best way. As soon as you get out of the city centre the wide roads give way to narrow streets that can't be navigated by the usual methods. By taking a Tuk Tuk you get to see the tiny places that can usually only be accessed by walking, but the best part is that the drivers are full of local knowledge, so you can ask them anything and guarantee that they'll know the best views and most Instagrammable places. One of the things that made a Tuk Tuk tour worth it for me was the chance to explore Alfama. 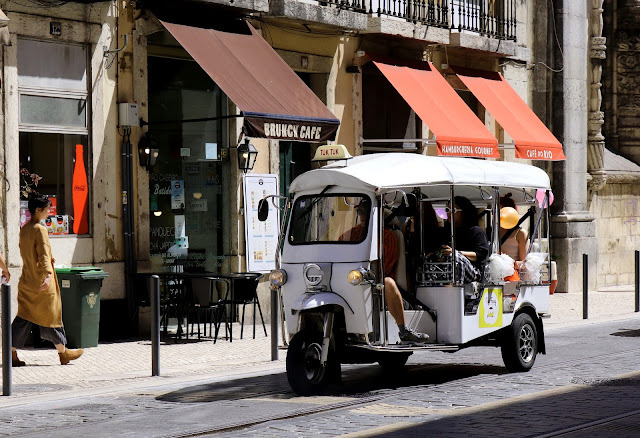 Alfama is the oldest district in Lisbon, full of narrow streets, tiny shops and beautiful underground cafes, but that's not the only reason why I love it. Alfama is on top of the hills and provides many different lookout points with incredible views across the city - this photo is taken the top of the hill looking across the city - what makes this spot unique is that you can see everything, including the Christ The King statue and Pont 25 De Abril bridge which all ships sail under on their way into port. 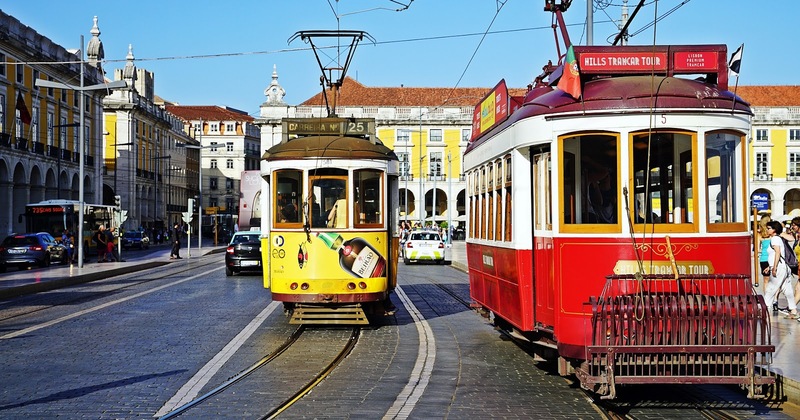 For some reason all of the best suggestions of things to do in Lisbon seem to involve transport and pretty views. Next on the list is Elvador de Santa Justa. 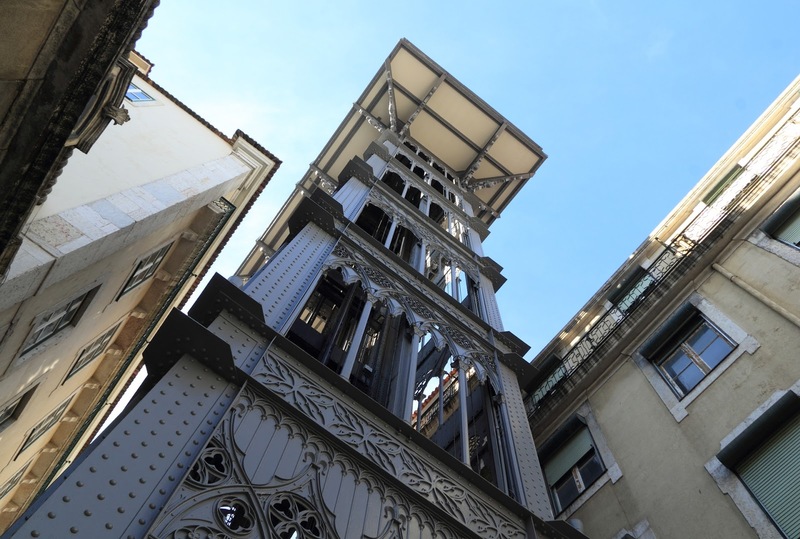 It was built in 1902 by a student of Gustave Eiffel (which is why it has such a similar style to the Eiffel Tower) to connect Baixa at the bottom and Largo Do Carmo at the top, and of course it provides an incredible view on the way up. Even though it's now mainly a tourist attraction it is still considered part of the public transport network so you can use the 24 hour ticket on here as well as the trams. If you're brave enough you can skip the lines by walking up the stairs, but you still need to pay if you want to access the viewing platform on the top. But really, isn't the ride half of the fun? I was always gutted that I'd missed my chance to go on a Hippo in London, so seeing them running in Lisbon it was something I absolutely had to do. The tour starts with a drive around the city, explaining the sights and history of our surroundings, then you need to be prepared to get drenched if you sit in the wrong place as the hippo drives straight into the river with a big splash. Honestly we spent more time confused about driving on water than looking at our surroundings but I think that's the main point of it - you don't buy a Hippo ticket for a deep dive into Portuguese culture, you buy it for a brief introduction to the city and a good laugh which is exactly what we got. If you're looking for a unique way to explore the city I'd absolutely recommend it! There are so many beautiful places that can be used as a symbol for Lisbon, but in my mind this is what appears every time someone mentions the city. The archway is an entrance to one of the main (tourist) streets that leads up to the main sights and historic squares, where you can find little side streets to get lost in. The arch itself is on Praça do Comércio which is a beautiful square with little restaurants dotted around where you can sit and soak up the sunshine over lunch. However, one special part that not many people know about (I didn't even know this until a few days ago!) is that you can actually climb to the roof for a close up of the statues and a unique view across the city. It €2.50 and is open until 7pm so if you go in winter you can watch the sunset from the roof. Honestly, I can't think of anything better. That should definitely keep you busy for more than a day. Lisbon is one of those beautiful cities where you'll always find something new to do, no matter how many times you visit. Have I missed something? Let me know you're favourite thing to do in or around Lisbon in the comments below and I might make a part two! In the meantime, have a read of my What to Do in County Cork post for a bit of inspiration.